We have all seen them, those little yellow boxes on the side of the road catching speeding drivers, and arguably they have a role to play in keeping us safe. 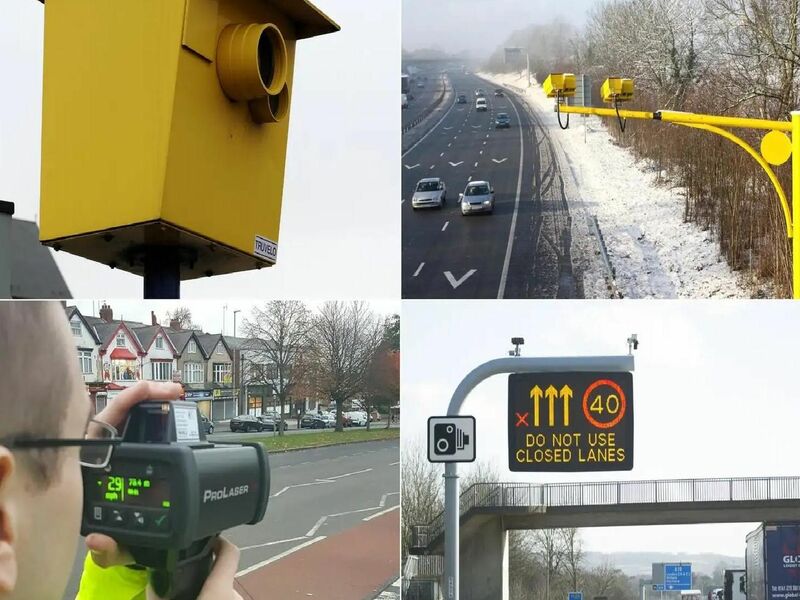 But did you know just how many different speed cameras there are operating on our roads? From average speed cameras to overhead cameras, mobile cameras, speedguns and night cameras, it's easy to get confused. Here's a guide to the most common camera types on our roads. On motorways, these tend to be used during roadworks rather than all the time. They are different to normal motorway cameras. They record your speed between two points and calculate an AVERAGE of your speed overall. These are used by police or volunteers at the side of the residential roads. The RADAR speed devices capture the speed of any passing car. They are highly visible patrols and anyone caught speeding can be issued a ticket. These work in the same way as overhead cameras, but are positioned on the floor. They don't tend to be used these days but they trigger when driven past at speed.